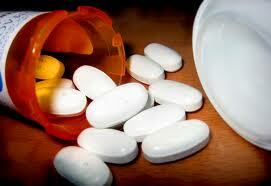 Topic – “How Safe Are Your Prescription Drugs and Medical Devices? The Pt. Loma/Ocean Beach LWV held their second meeting Monday, October 7th at the Pt. Loma Library. The topic, which should be of interest to anyone taking prescription drugs, had a very small turnout. Perhaps it was the time change – 1:00pm instead of the regular meeting at 10:00am, but those of us in the audience heard from two panel speakers – Jean Willson and Shirley Walkoe – and the chair of the group, Nancy Witt. A short DVD was shown re: the FDA and their responsibilities, and then 14 questions were addressed by Jean and Shirley. It was interesting to find out that Jean was a family doctor, practicing primarily in rural Iowa before practicing in Arizona and retiring. A female doctor in the1950’s was a rarity, and many males refused to see her unless they were very ill or injured. One of the questions discussed had to do with generic drugs and a “me-too” drug. A generic drug is a drug product that is comparable to brand/reference listed drug product in dosage form, strength, route of administration, quality and performance characteristics, and intended use, where as popular term for a generic drug with an identical formulation and stated indications as a previously FDA-approved agent; MTDs are usually approved ‘automatically’ based on their virtual identity with other formulations. An “off-label” use of drugs is one that is designed for one disease but found to be helpful for another problem. It does not take as long as it takes for an original drug to be approved by the FDA. It was pointed out that it can take as long as 10 years for an original drug to go through the steps for FDA approval, starting with a trial for people that do not have any medical problems to ending up in a trial with people that are suffering from the ailment the drug is meant to cure. An “adverse” event is where someone – or a group of people – actually die from the medications. Last year a “compounding” company in the Boston area was found marketing an arthritic medicine that eventually killed over 50 people. It was found that the I.V. fluid was full of bacteria and that was what had caused the death of people all over the United States, including here in California. The FDA is not responsible for the compounding company; rather the State regulates these entities. A question that produced a few lively answers was if the FDA should permit more prescription drugs to converted to over-the-counter medicines. It was pointed out that insurance companies would not pay for OTC drugs, and the cost to the patient could conceivably be higher than a prescribed drug. The advent of advertising new drugs on a variety of media was also discussed. Jean said she was very surprised when she saw her first commercial encouraging the patient to contact their doctor about taking the drug being advertised. A lot of money goes into that advertising, and she pointed out that there are many older drugs that are just as good – if not better – than the ones being advertised. And, she pointed out, they are not as costly. Advertising should be between the pharmaceutical companies and the physicians prescribing them – not using the patient as the “middle man.” The money that is being spent media advertising should go into research, not publication. instead of reading the answers visuals were provided. the air conditioner was set at a higher temperature. The next League of Women’s Voters unit meeting will be held on Thursday, November 14th at 10:00am,discussing the Affordable Care Act and the Syrian situation. Personally, with all that is happening in San Diego right now I think that these two topics should be delayed for a month while discussions of importance pertaining to San Diego be discussed. It should be noted, however that the LWV will be co-sponsoring a Mayoral Candidate Forum with the Union Tribune on November 14th with the time and place to be advertised later. It should be noted that this date is only a few days away from the special election, and many people that cast an absentee ballot will already have done so. It is a little disappointing that the LWV seems to have been caught off-guard re: this special election and their information will be forthcoming so late in the proceedings. There are many drugs that are associated with cancer.